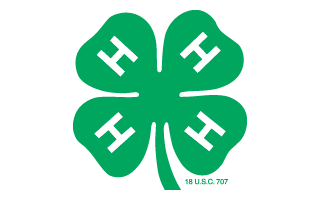 If you were in 4-H, when and what club(s) were you a part of? How did 4-H help you grow as a professional? I was a member of the Somerset County 4-H Stablemates Horse Club. My 4-H debut was not until high school although I always wanted to do it. 4-H was influential in the greater message (our 4-H pledge), being a part of a group of like-minded students of varied ages and experience levels, and being in a positive and encouraging environment for growth of skills, leadership, and knowledge. Plus, 4-H Fair was a blast and possibly some of my favorite memories growing up. Busy! I am a small animal general practice veterinarian. 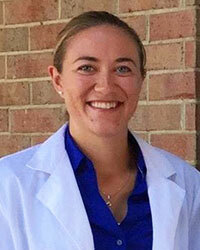 My days are usually booked with appointments, surgeries, and lots of phone calls to clients or other doctors. Sometimes the unexpected emergency walks in and we have to move quickly to assess the patient and keep the day flowing. It can be stressful and long hours, especially when emotions are involved, but veterinary medicine is a team sport and I trust my awesome staff to keep everything under control. When I first graduated, I was an equine (horse) veterinarian and I made daily farm calls and emergency calls at night in all kinds of weather. It was very tiring, but I really loved working on horses. I like helping animals and their people. I enjoy problem solving and client education. This profession provides continual challenge and opportunity for professional growth and development. It is amazing to have so many talented and experienced colleagues at hand to learn from or ask questions of. You don’t need to be the best. As long as you are a better doctor than you were yesterday, you’re doing well. I enjoy working on a team of knowledgeable doctors and dedicated staff. The largest challenge in my career is actually more of an industry wide problem – student debt. A veterinary education is very expensive and starting salaries proportionally are very low, and the interest rates on the loans are very high. It is a struggle many graduates face and is a major stressor. Another challenge is the emotional burden that wears on you day to day. The animals you treat don’t know there’s a cost associated with their care. Sometimes owners can’t afford care. Sometimes owners choose not to pursue care. It requires a very objective view of each situation to not allow your recommendations to become emotionally influenced – but you’ve still got to have heart, listen without judgement, and balance what is ethically, medically, and professionally right. In high school, I was a pretty decent chemistry student and I think I took an environmental class or two. College courses were very intense. I know my least favorite classes were Organic Chemistry I & II. I enjoyed Biochemistry because it was a meaningful application of all the years prior in a biological (animal) system. Exercise science courses were also very interesting. All of my science courses over the years interested me and I kept asking questions and learning more. I was never the best student, but I was very focused and dedicated. Can you share advice for youth aspiring to join your profession? You have really got to want it. The degree is hard earned. Set goals for yourself. If your heart is not in it and you don’t have the drive for it, you will become distracted. It’s ok to find something else that may interest/suit you better. Make sure you really want it. Spend as much time as you can working with people and animals. Learn about different animal management/husbandry roles (large and small animal). Educate yourself on what the animals are used for and who the people are who care for them (your future clients). Talk to veterinarians, technicians, other people in animal industry. The more time you spend with these professionals, the more you will learn about what you like and don’t like. You may discover a new area you weren’t previously aware of and it could be a good fit for you. Learn about finances and understand the value of your student loans vs. your potential income. Ultimately, medicine is a business, and it needs to support itself, pay for supplies, and the employees (you!). There’s a lot more than just medicine. Learn to talk to people. Get comfortable with yourself and your voice. Communication is arguably more important than your medical skills. Find a GREAT mentor (or more). You need someone with more experience to help guide you along the way.